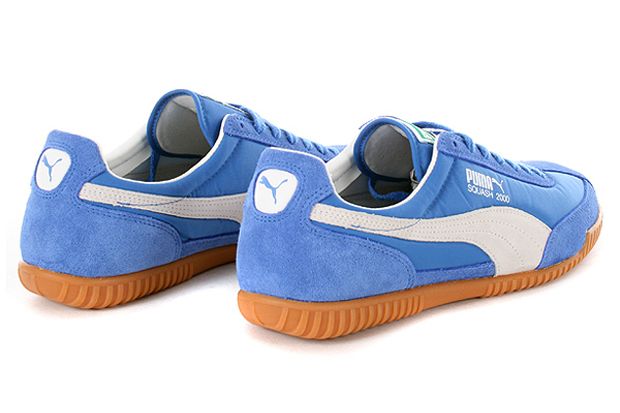 Digging into their archives, PUMA have brought the Squash 2000 back from it’s grave for a 2012 re-issue in two colourways. 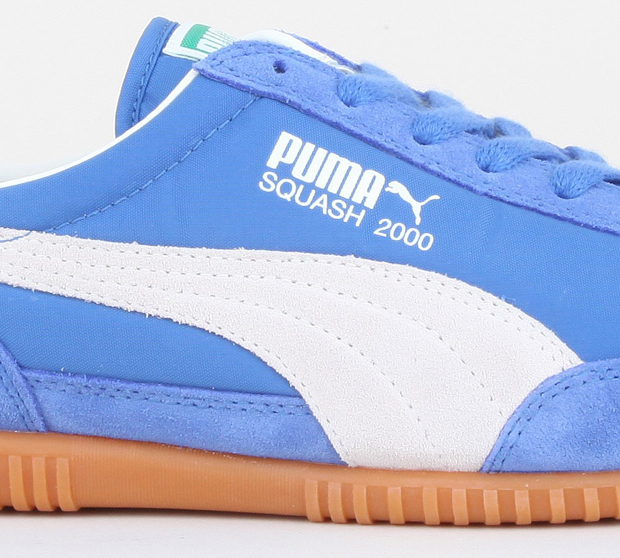 Originally released by in 1983, the Squash 2000 was designed for what it’s name suggests, the fine indoor sport that is Squash. 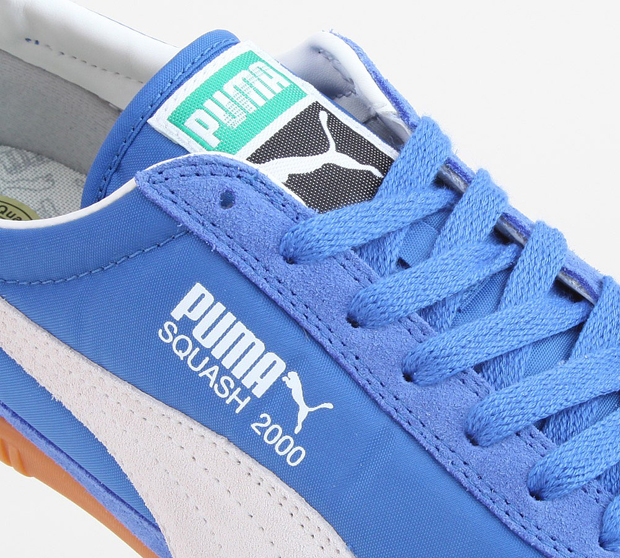 Leithweight, breathable and grippy on the courts, the Squash 2000 was a fantastic silhouette bot on and off court. 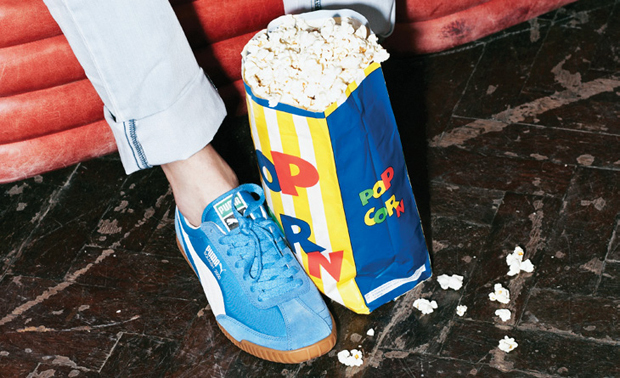 Having slept for long enough, PUMA have decided to awaken this classic shoe and bring it back in all it’s original glory. 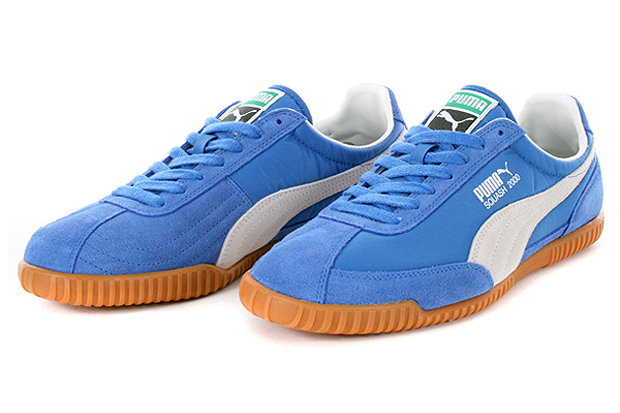 One thing PUMA do particularly well is re-issues. 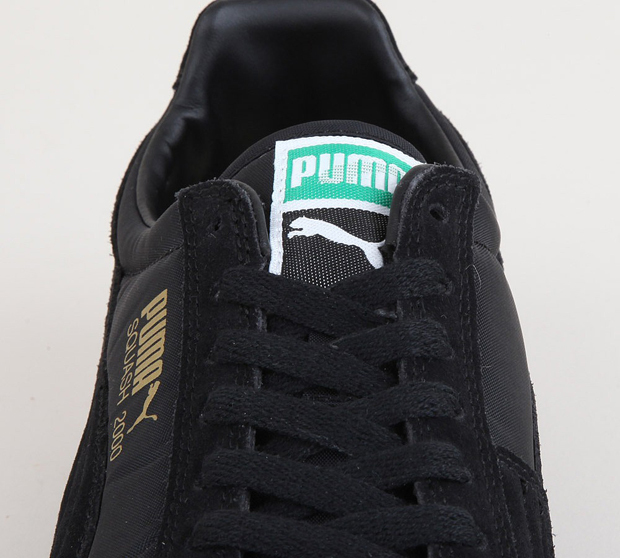 No messing around with materials (well, not enough to notice), no messing around with branding, no vintage effect, just the same old shoe back on the shelves. Something that I personally love about the brand. This re-issue sees the original re-made in it’s true form, and holds that retro aesthetic that a lot of people enjoy. As a sneaker lover I probably shouldn’t encourage this, but I just get the feeling that the Blue pair would look really good when beaten up a bit. Maybe even both colourways. 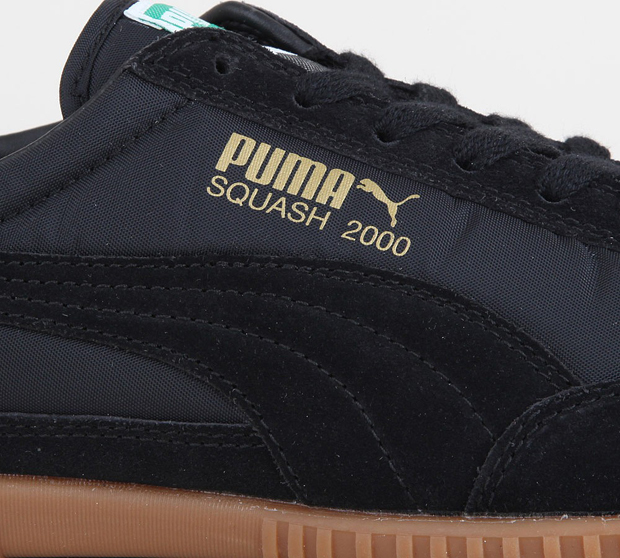 The PUMA Squash 2000 is back on the shelves now and can be found at all good PUMA stockists including Hanon, Urban Industry and size? for roughly £50 a pair.